The 2nd release of the Z scale Baldwin described above is scheduled for Spring 2019. The MSRP will be between $495.00 and $595.00. NUMBER OF BALDWINS TO ORDER? The Baldwin C-16 class switchers were the last 0-4-0 steam locomotives built for the Baltimore and Ohio Railroad. They were assigned to the Baltimore, Maryland "Pratt Street Line" along the Inner Harbor, and connecting with the Philadelphia, waterfront trackage. Initially constructed as saddle tank engines, numbers 96 and 99 were given tenders in later years. After the saddle tank was removed in 1926 they were then given the classification of "C-16A" (Numbers: 97 and 98 remained unchanged.) The diminutive size and short wheelbase were required to handle the tight curves of these lines. Nicknamed "Little Joe" by railroad workers, they became famous to several generations of model railroad enthusiasts through construction of HO, S & O scale models of the "Dockside" switcher. 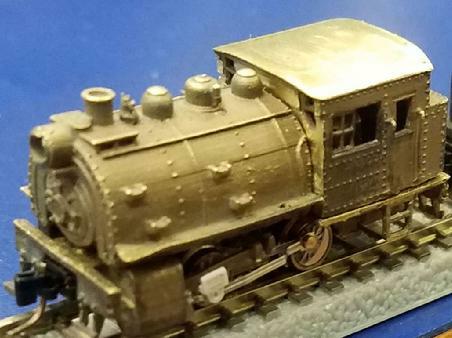 Arguably one of the best known of all steam locomotive models for half a century, versions of the "Dockside" have been offered by Varney, Rivarossi, Gem, Life-Like, Pacific Fast Mail, MTH and others.